You've sailed along on your eating plan for eons, but pregnancy may require you to rethink what's on your plate. Here's the scoop on staying vegan or gluten-free while pregnant. You recall it well: The moment you put your fork down and decided, "No more meat/animal products/gluten!" Full of conviction, you changed your grocery list and restaurant orders ... and then didn't give it a ton of thought. But now that your munchkin is getting a bit of everything you eat—and none of what you don't—you may be reconsidering that decision for your pregnancy diet. Should you stick with it? Will your vegan resolve go AWOL during pregnancy? Will your babe miss out if you skip carbs? See what modifications you should make. Remember, too: When you're preg and roiled by hunger pangs, forgoing gluten can leave you mindlessly downing refined carbs like potatoes and rice, which may cause you to gain more weight than the recommended amount. A dietitian can help you stay on track. If you're vegetarian or vegan, "it's safe to maintain the diet during pregnancy," says Alina Zhukovskaya, a holistic health coach in Palm Beach, Fla. If you're vegan, rely on calcium-fortified soy or almond milk and dark leafy greens, since you won't nab calcium from the usual dairy fare, suggests Rachel Brandeis, R.D., a dietitian in Atlanta specializing in pregnancy nutrition. And like gluten-free expecting mamas, vegans must watch their intake of iron and B vitamins. Veggies and vegans may also need to up consumption of omega-3 fatty acids (vital for Junior's cardiovascular health and brain and eye development) via flax seeds and walnuts. Lastly, load up on legumes and nuts to get the extra 20 to 25 grams of daily protein you need—protein's amino acids are the building blocks of your little one's growth. That said, don't panic if your Food Inc.–inspired intentions fall by the wayside during these nine months. You may get a hankering for meat, notes Elizabeth Somer, R.D., author of Nutrition for a Healthy Pregnancy. "Rather than fight your craving, roll with it and make healthy choices," she says. Meat isn't essential for you or your baby, but lean options like organic chicken breast are a convenient way to meet your higher protein and iron requirements. Been cutting carbs? 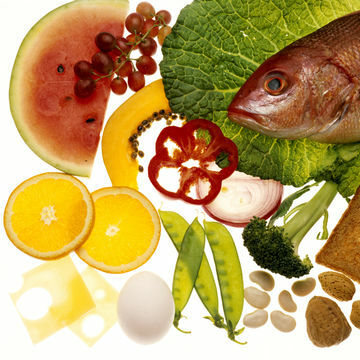 Consider adding back the good ones to score enough folic acid, iron and fiber. "I recommend including plenty of whole grains, since you need carbs for energy and to help your baby grow," Brandeis says. "Limiting refined carbohydrates is fine—but not complex ones." So you can continue to ixnay white bread, but do welcome oats and brown rice. If you're paleo, you may need to modify a bit. "Paleo eaters get very little dairy and grains. That can leave you without enough calcium or fiber," Brandeis says. "Instead, be flexible. Add back unprocessed grains like quinoa and organic dairy products. You'll still eat clean, and you can return to full paleo after delivery."